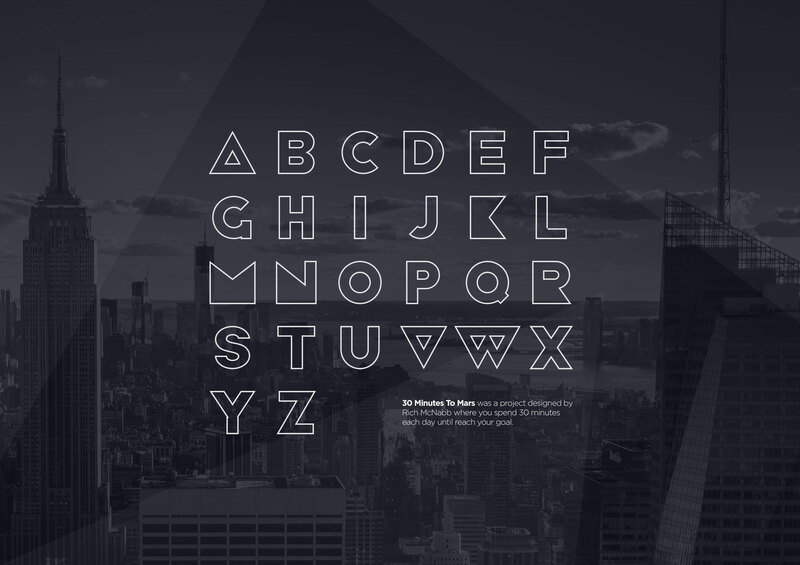 A free geometric vector font for personal and commercial use. 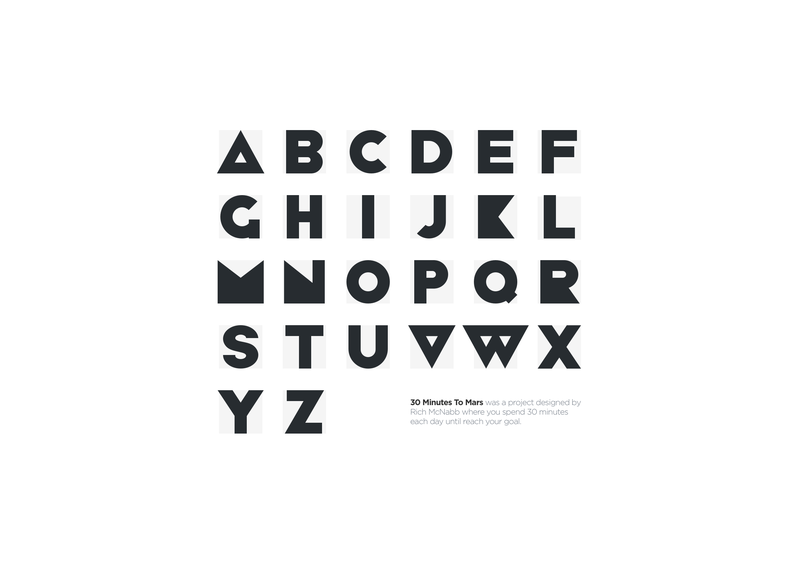 I wanted to create a simple geometric vector font and make it publically available as a free download. This served three main objectives: I wanted to become more experienced with vector software such as Sketch or Illustrator, I wanted to build up my design portfolio. Lastly, I wanted to give something back to the design community. Here’s a photograph of some of my sketched ideas as I was trying to determine a consistent size and style. Throughout this process, I would re-sketch ideas and try different approaches to ensure I came up with the best outcome. The original idea was to design typographic building blocks using geometric shapes and piece them together like Lego. By having a bounding box it ensured the letters were consistent and felt like a cohesive font family. 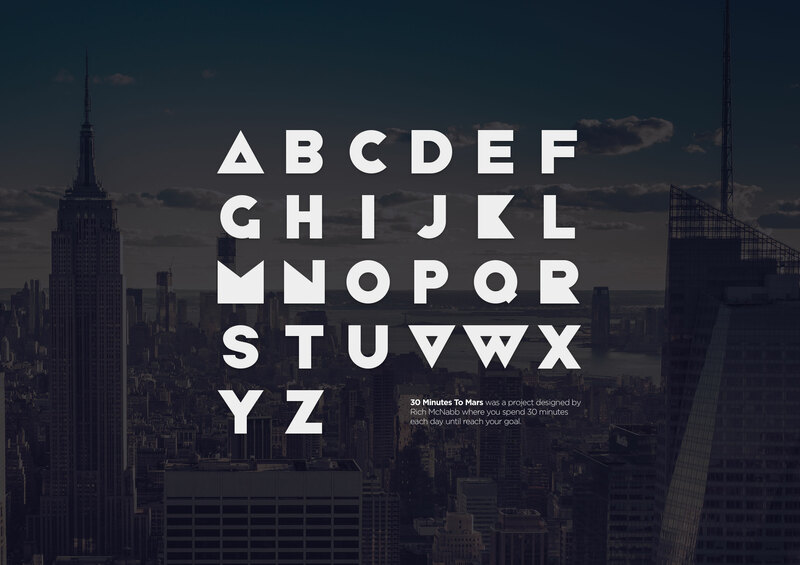 By using simple shapes it makes it easy for people to break apart the font and quickly adapt and modify them for their own designs purposes. This version only took a few minutes to create and adds a nice touch with more visual interest. 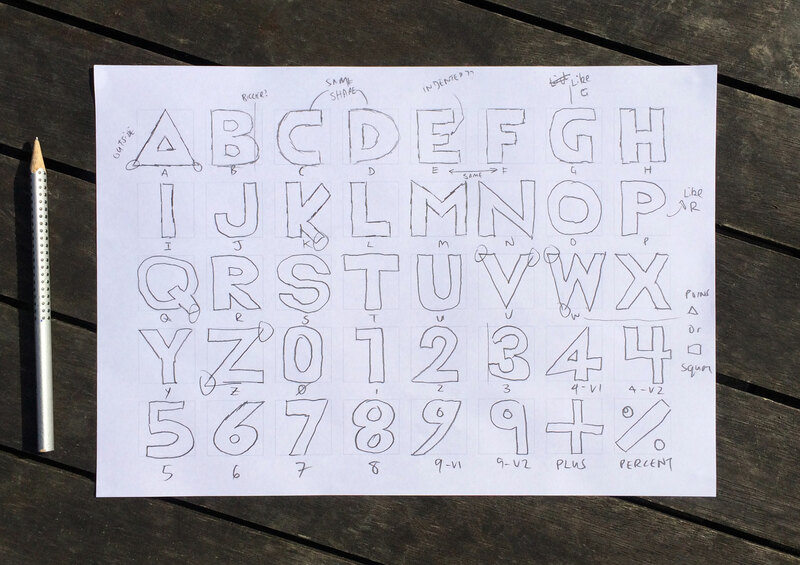 By adjusting the fill and border properties you can quickly and easily transform the font into outline typography. Great for graphic design and promotional websites. The individual element can be removed to further simplify the font and provide the designer with more flexibility. With this version, I masked an image over top of the design to reveal the background that you only really notice on closer inspection. I hope you are inspired to begin working on your own “30 Minute to Mars” side projects. Feel free to share it with others to remix and adapt. Download the free vector font and see what you can come up with. You can also purchase a framed (or unframed) print of the font. The ability to customise the white or black frame with the option for international shipping.